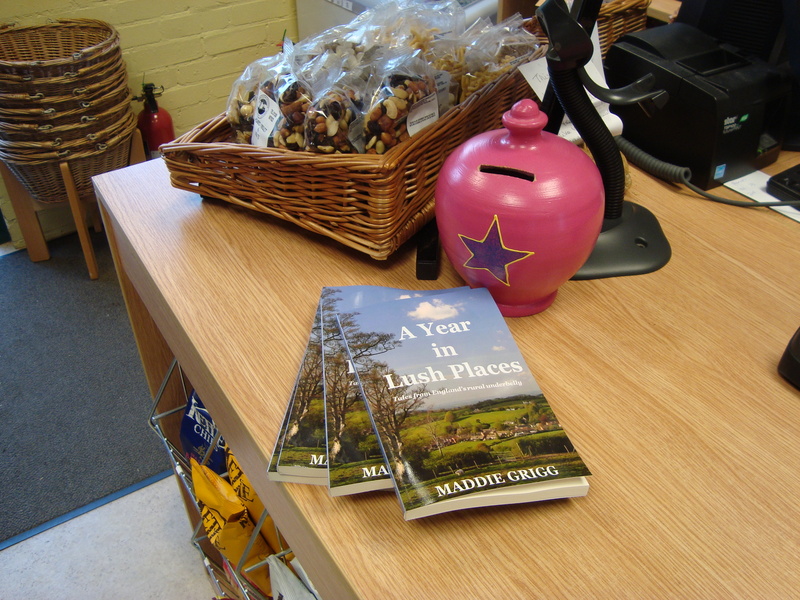 A Year in Lush Places, the novella written by Dorset author Maddie Grigg, is flying off the shelves in the village’s community shop. The book takes an affectionate look at village life and is inspired by The World from my Window blog stories from Broadwindsor. The book is set in election year and there are cameo appearances by West Dorset MP Oliver Letwin and other political candidates. The book is available in paperback and on Kindle and can be ordered from bookshops or online via Amazon. The World from My Window was recently chosen by Saga magazine as one of the top 50 blogs by people over 50. Maddie Grigg is the pen name of Broadwindsor Jubilee Group joint secretary Margery Hookings, who, with her husband, Andrew, is about to return to the village after spending a year on the Greek island of Corfu.